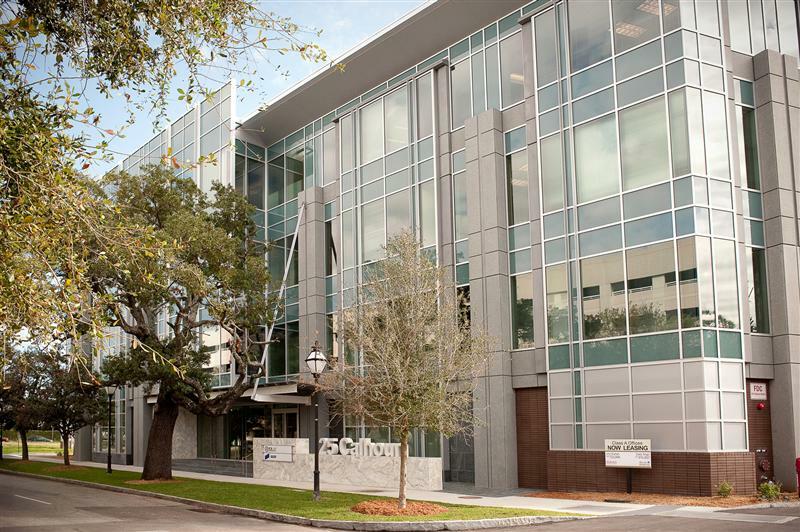 25 Calhoun is one of Charleston’s most prominent office buildings. 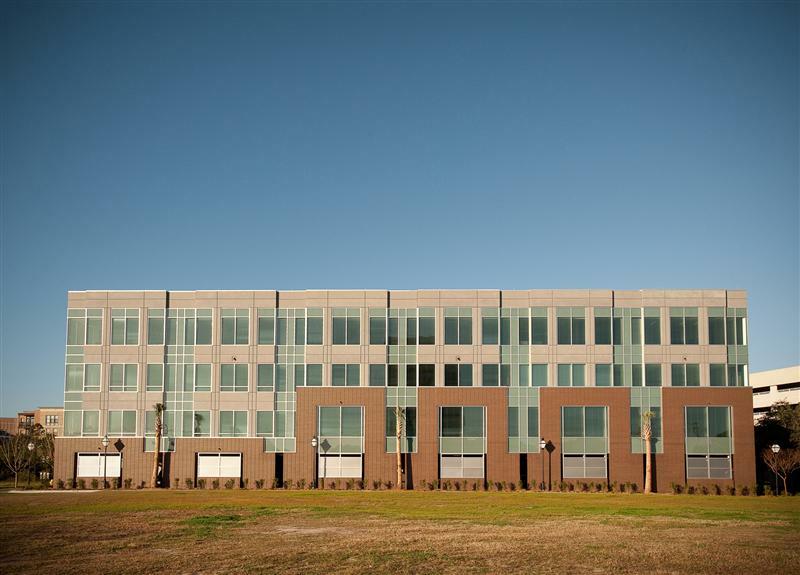 Overlooking Gadsdenboro Park within the Digital Corridor Wharf District, 25 Calhoun offers a high level of convenience as well as proximity to numerous restaurants and civic venues. 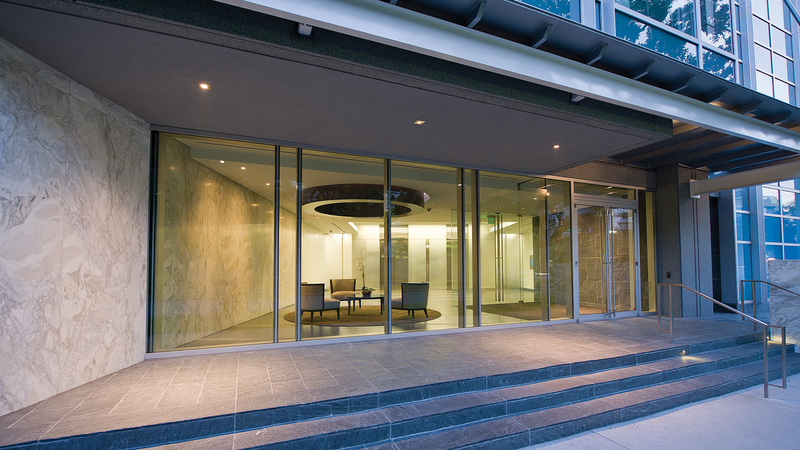 25 Calhoun combines modern architecture with leading edge green design. 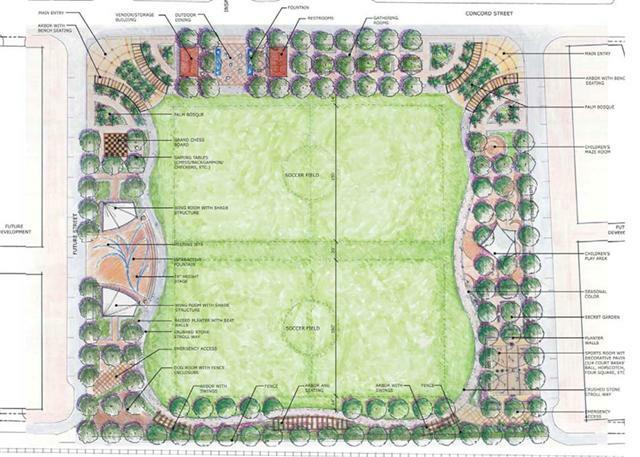 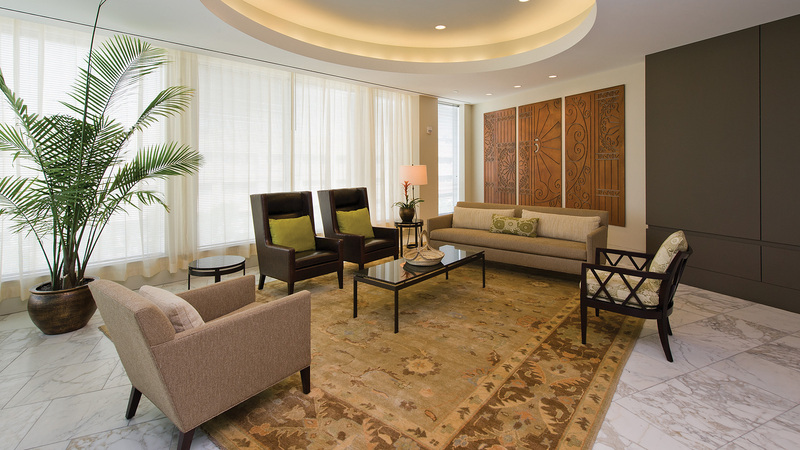 Features include a vibrant walkable location, impressive common areas, outstanding views, and abundant parking. 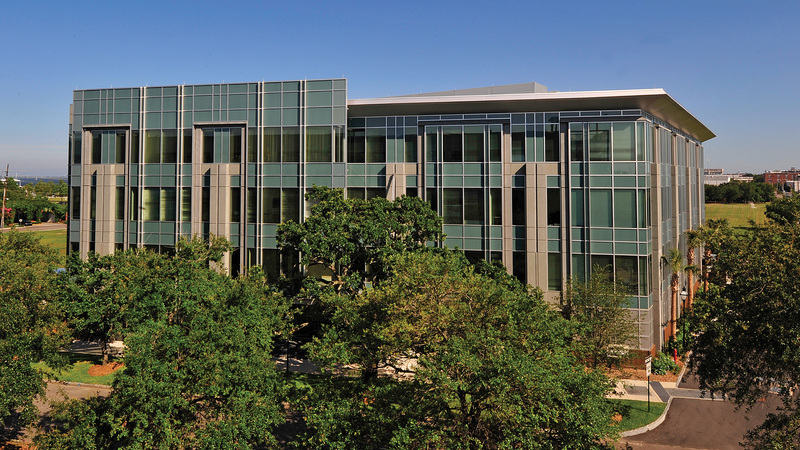 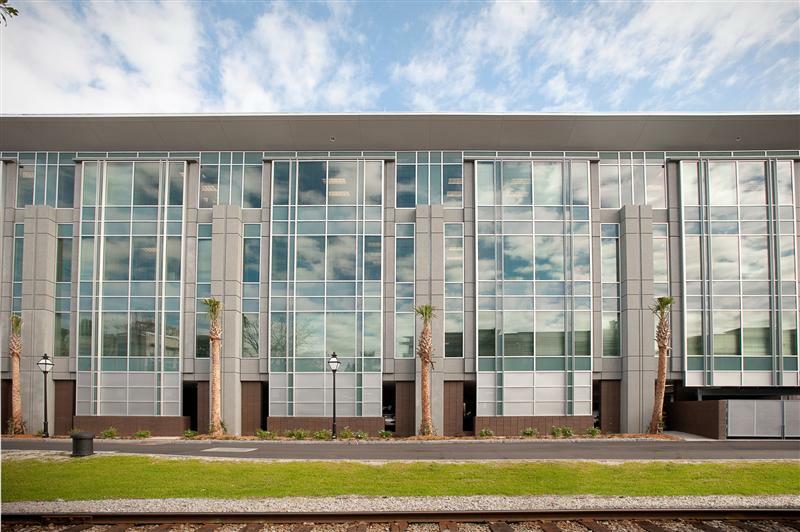 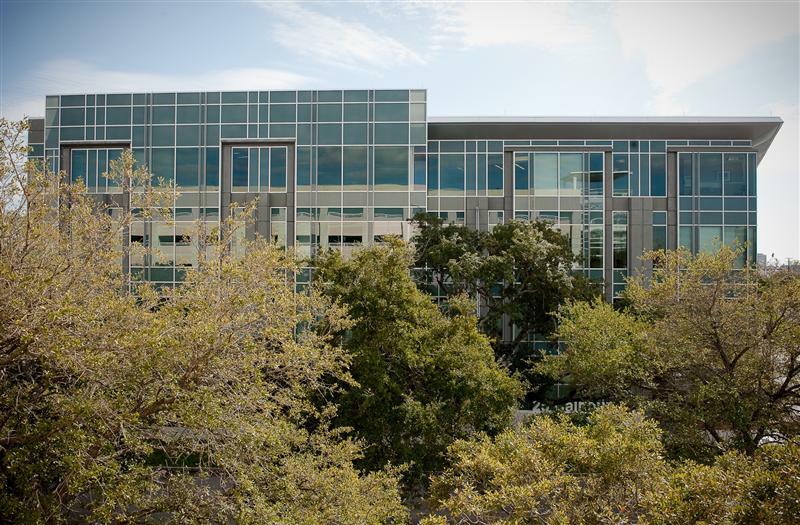 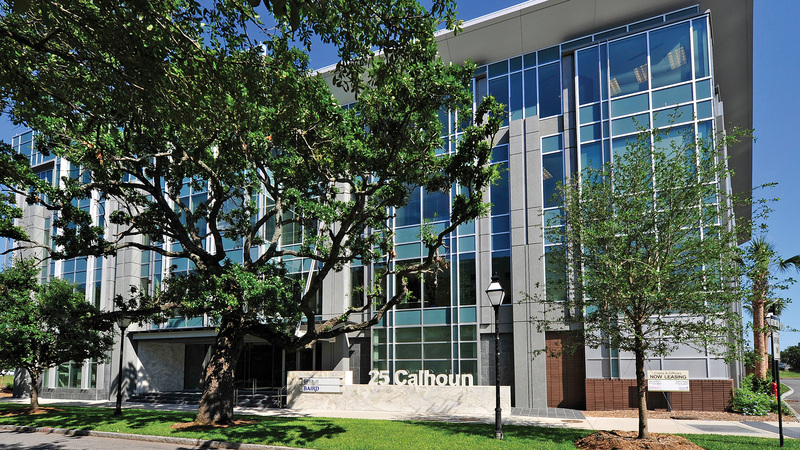 25 Calhoun is the first building in Charleston to be LEED certified Core & Shell by the U.S. Green Building Council. 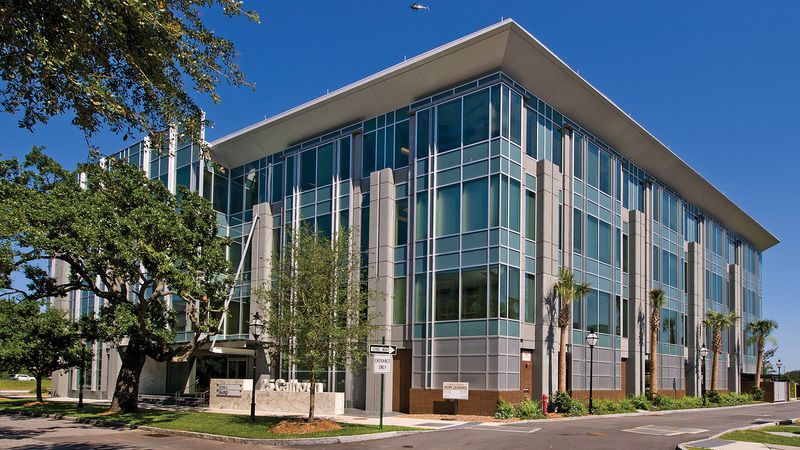 Centrally located on Charleston’s peninsula, 25 Calhoun is adjacent to Concord Park within the Digital Corridor Wharf District. The South Carolina Aquarium, Gaillard Auditorium, The Maritime Center, and the main branch of the Charleston County Library are excellent neighborhood amenities within walking distance. 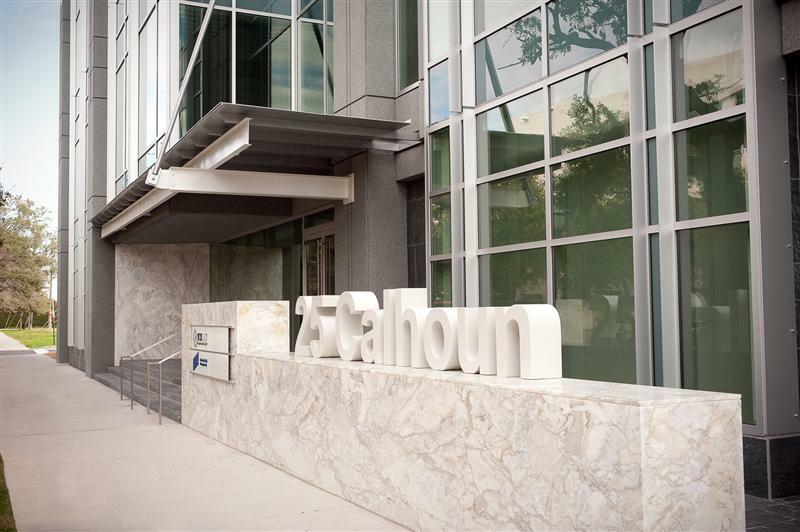 25 Calhoun’s premier downtown location enables tenants to take advantage of Charleston’s abundant dining options. 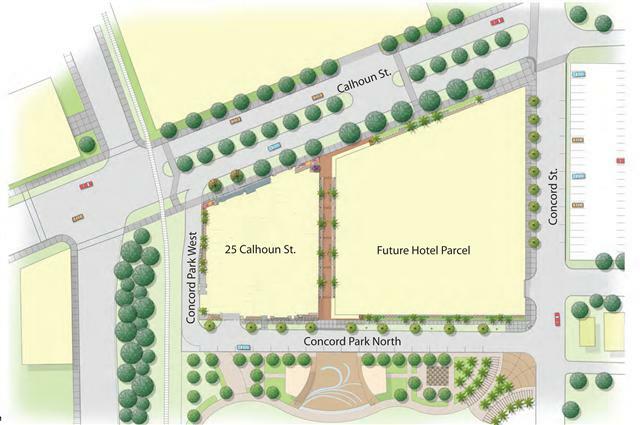 Casual restaurants include Saffron Café & Bakery, Ted’s Butcherblock, Jestine’s Kitchen, and Fleet Landing. 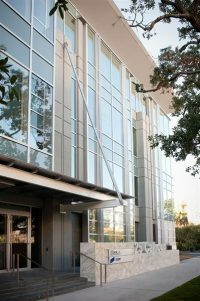 Three award winning restaurants; Charleston Grill, FIG, and McCrady’s, are ideal for special occasions and entertaining clients. 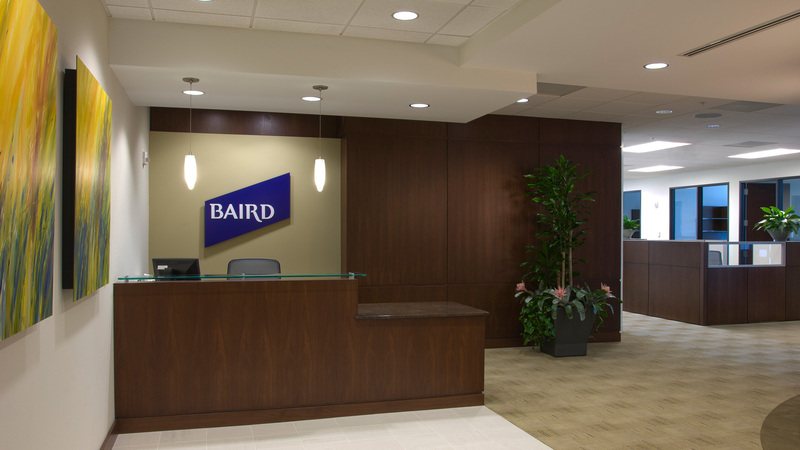 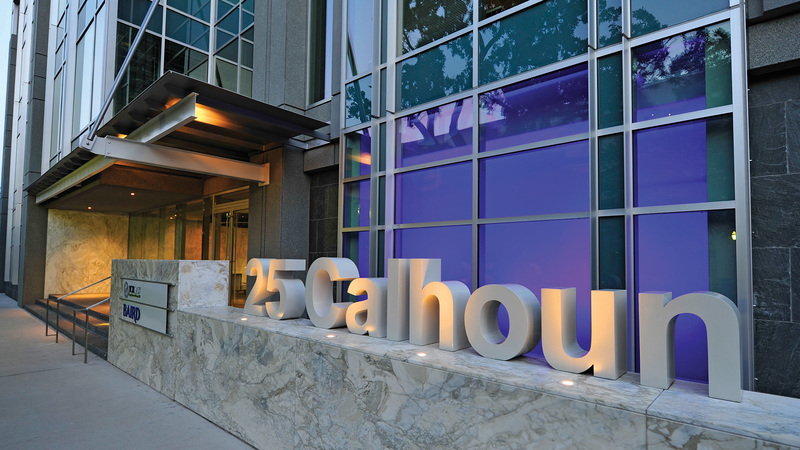 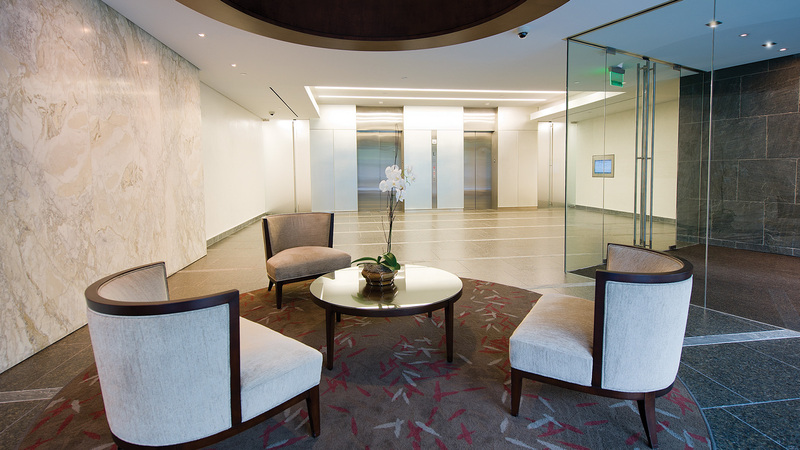 25 Calhoun is an opportune location to host out of town clients or regional meetings. 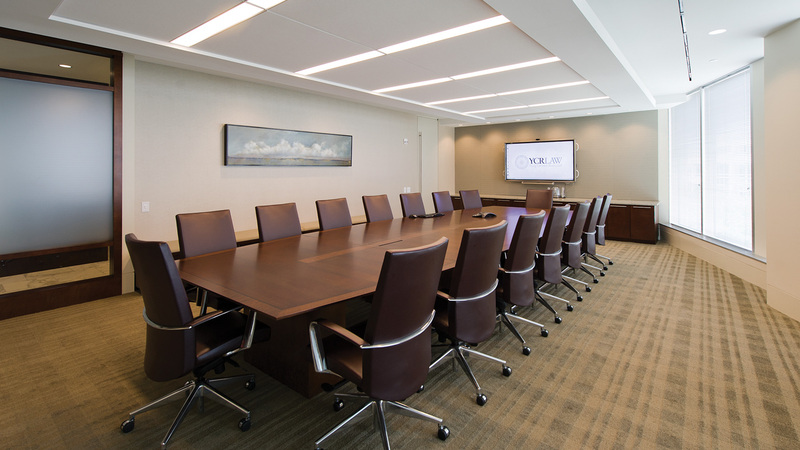 Hotels, dining, and shopping are all within walking distance and Charleston International Airport is a ten minute drive.